NO EXPERIENCE NECESSARY! We'll provide all the supplies and our collection of finished glasses for inspiration! We'll show you the tips and tricks to painting glass and guide you through this very personalized, functional work of art! 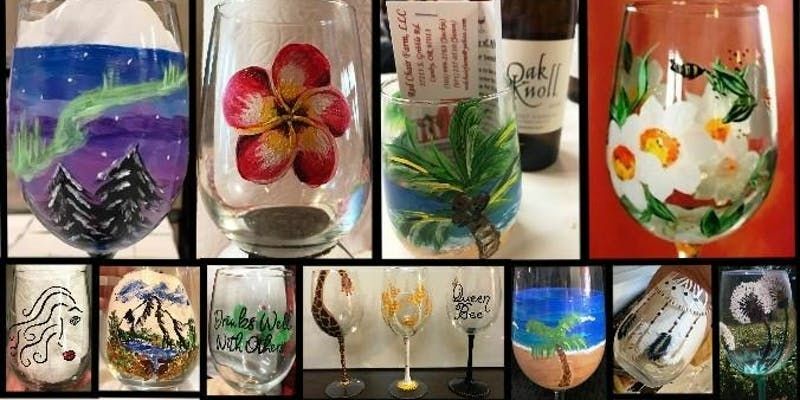 Come enjoy a couple hours of glass art, food, wine, and fun!